If you were asked to name a car company at the cutting edge, Renault might not immediately spring to mind, but the French firm is surprisingly forward-thinking. Its electric Zoe has been on sale for six years and it has a range of established tall and chunky sport utility vehicles (SUVs), which means that there are plenty of deals, whether you're looking for a brand new vehicle, for, nearly new car, or a low price on a used Renault. You'll find the latest deals on some of the most popular Renaults below. Renault's small Clio is due to be replaced this year, but the good news is that this is already reflected in the price which is cheap, even for nearly-new cars. It means that higher-specification cars are more likely to be within reach: Dynamique Nav cars include an upgraded stereo, sat-nav and softer-touch interior materials. Looking for a new Renault Clio? Check the latest discounts and configure a car by clicking below. Renault's small electric car is still showing other manufacturers the way forward, six years after it went on sale. It's comfortable, nippy and - of course - quiet. It's well-suited for town, but can cope with motorway speeds too. The design hasn't changed much over the years, but the technology has: early cars could just about manage 90 miles between charges; an upgrade in 2017 brought the Z.E.40 which increased the range to around 150 miles. Bear in mind that many Zoes were sold without their batteries. Buy one of these and you'll have to rent them, with prices starting at around £50 per month. Batteries are included with models badged 'i'. Looking for a new Renault Zoe? Check the latest discounts and configure a car by clicking below. It can be difficult to decide on which family hatchback to buy because so many are so similar. And in truth, the Renault Megane doesn't exactly stand out from the crowd, but does have a few distinctive features. It's a bit more interesting to look at, compared with much of the competition, and also has a sophisticated design inside - particularly on higher-specification cars, such as Dynamique S Nav models, which include an 8.7in portrait touchscreen on the dashboard. On the road, it's smooth and quiet for a car of this size. Check the latest discounts on brand new Renault Meganes and configure a car by clicking below. Renault's Captur was one of the first small crossover cars, combining the small dimensions of the Clio with a taller driving position and larger boot. This means that there's plenty of choice when it comes to used cars, with a wide range of prices. More recent cars, produced from mid-2017 were updated with small interior improvements and a chunkier design on the outside, which makes the car look more rugged. It's not really designed to be driven off road, though. The car's designed with practicality in mind, so the steering is light, engines are efficient, and it absorbs harsh impacts from potholes for a comfortable ride. Click below to configure a new Renault Captur and to check the latest discounts. Underneath the Renault badge and the car's flowing lines, you'll find that the Kadjar shares most of its mechanical parts with the best-selling Nissan Qashqai. This means that the Renault shares the Nissan's smooth ride, light steering and efficient engines, while improving on the Qashqai's weakness: space. The Kadjar has a bigger boot and enough legroom for adults to sit comfortably in the back. 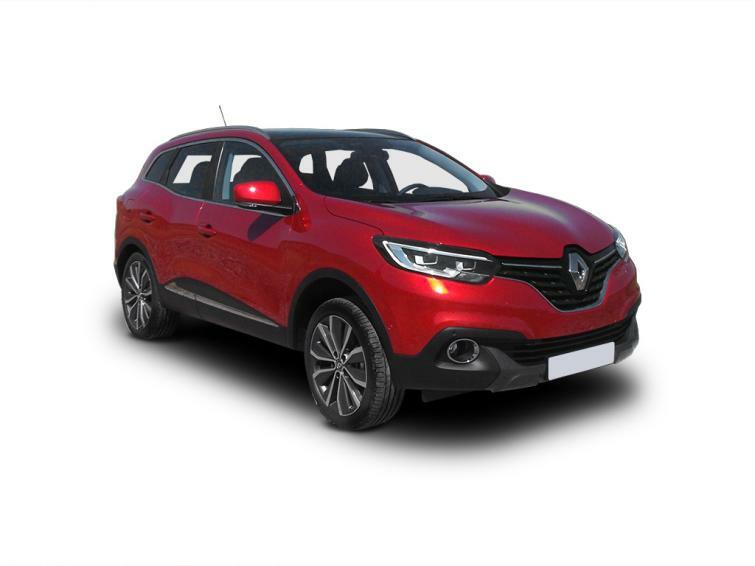 For brand new Renault Kadjar discounts, and to configure a car to your specification, click below. 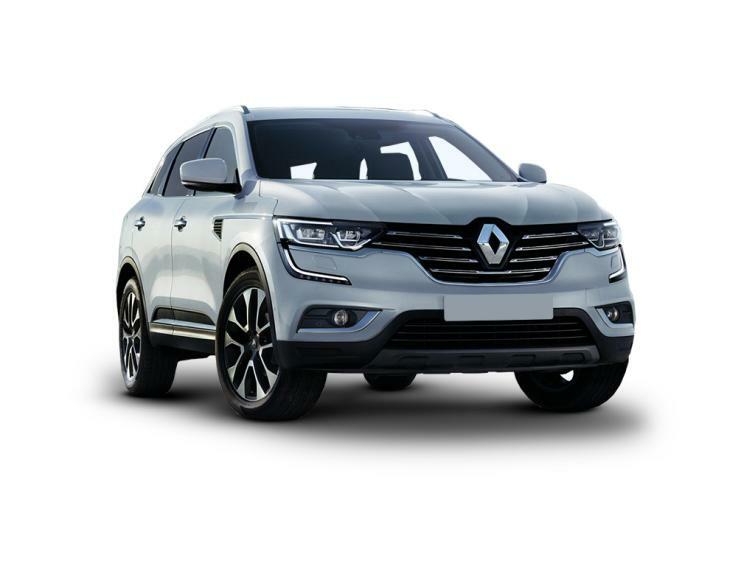 Renault's answer to the Volvo XC60 and BMW X3 is a big sport utility vehicle (SUV), with a high driving position, rugged styling and masses of space, particularly in the back seats. It's pitched as a luxury car, so every car comes with mood lighting, climate control and sat-nav. Most used models will also include a panoramic sunroof: it was standard when the car went on sale in 2017, but is an option on the recent 'Iconic' specification. The car isn't cheap when new, and you'll normally find sizeable new car discounts. This also means that used and nearly new vehicles can represent extremely good value. Click below to configure a brand new Renault Koleos and check the latest offers. Renault's Scenic is meant to be a more practical alternative to the Kadjar, with a design that provides more interior space without totally sacrificing style. There's also a seven seat version - the Grand Scenic - available, which offers more versatility. The Scenic has a flexible interior, with plenty of interior storage, sliding rear seats and an excellent safety score. Click below to configure a brand new Renault Scenic and check the latest offers.